On November 28, 2016, A car ramming attack and mass stabbing occurred at the Ohio State University (OSU) in Columbus, Ohio. The attacker, Somali refugee Abdul Razak Ali Artan, was shot and killed by the first responding OSU police officer, and 11 people were hospitalized for injuries. According to authorities, Artan was inspired by terrorist propaganda from the Islamic State of Iraq and the Levant and radical Muslim cleric Anwar al-Awlaki. Four people were injured in a restaurant in Columbus, Ohio on February 11, 2016, when a man with a machete attacked them at random. The assailant, Mohamed Barry, a native of the West African nation of Guinea, was killed after he led police on a car chase. Five men were arrested in April 2012 and accused of plotting to blow up a bridge near Cleveland. Ahmed Hussein Mahamud, a 26-year-old American citizen from Columbus, was charged in an indictment, unsealed in June 2011, with providing material support to Al Shabaab. Hor and Amera Akl, a married couple residing in Toledo, were arrested in 2010 and charged with providing material support to the designated terrorist organization Hizballah. In May 2011, the Akls pled guilty to conspiracy to provide material support to a foreign terrorist organization. Jerry and Joe Kane, father and son anti-government extremists from Forest, were killed in a shoot-out with Arkansas law enforcement after they fatally shot two West Memphis police officers during a traffic stop on May 20, 2010. 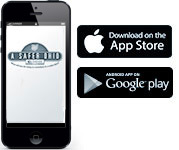 Report suspicious activity, request roadside help and real-time traffic. Dowload free on the App Store or Google Play.